John Robshaw created this piece of art broken and soft, then allowed his amazing hand-painter to create his own magic. This incredible work is the happy result. 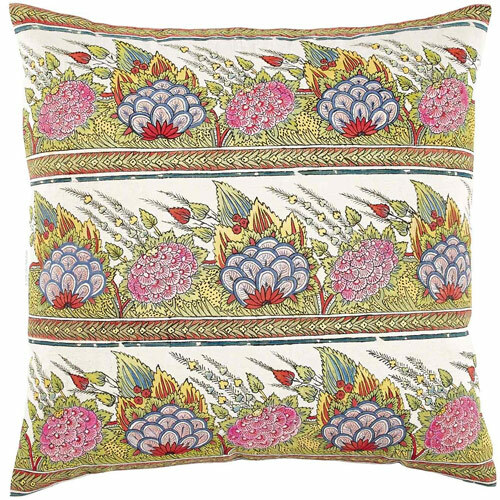 Vibrant colors and fun florals enable this pillow to fit nicely with any pre-existing colors.